Chandigarh is a rapidly growing city and in the last decade (2001-2011), its population growth rate was observed to be about 28%. Being one of the densely populated city (9252/sq km), its demand for water is estimated to grow steeply. It is estimated that by 2026, the water demand will be 523.41 MLD (138.27 MGD) that is about 22.72% higher over the 2011 demand of 426.50 MLD (112.67 MGD). 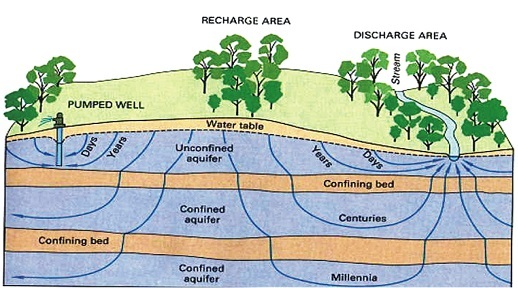 Due to excessive withdrawing and comparatively lesser annual replenishment, the ground water level of deep aquifers in Chandigarh (except southern sectors) has been suppressed on an average of 4m in 6 years at different locations throughout the city.